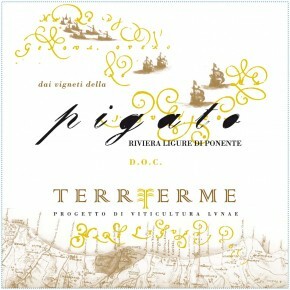 Because Pigato is not grown in the Colli di Luni area, the Bosoni family has started a special project in the western part of Liguria (Ponente) called ‘Terreferme’. This is carried out with some close family friends and fellow vine growers in an effort to represent the whole spectrum of Ligurian enology. While pigato was found to be genetically identical to the region’s trademark vermentino, it nevertheless achieves unique expression: pigato favors the earthy side of the flavor spectrum, is a bit more acidic and has a touch more body weight; by contrast, vermentino shows more exotic fruit and has more developed aromas. Pigato shows a pale straw yellow color with greenish highlights. It is very elegant on the nose with scents of flowers, citron and almond. Dry with a pleasant minerality in the mouth, accompanied by aromas of yellow fruit and almond. Very well balanced with a long finish. Pigato wants food, it will pair beautifully with pasta al pesto and all kinds of seafood and shellfish dishes such as linguini with clams, steamed mussels, fish chowder or a whole grilled fish. And, of course, sushi. Manual harvest is carried out at the beginning of September. Fermentation and vinification in stainless steel tanks. In stainless steel for 5/6 months.